Google has revealed that Android payments can now be made within the Gmail app. 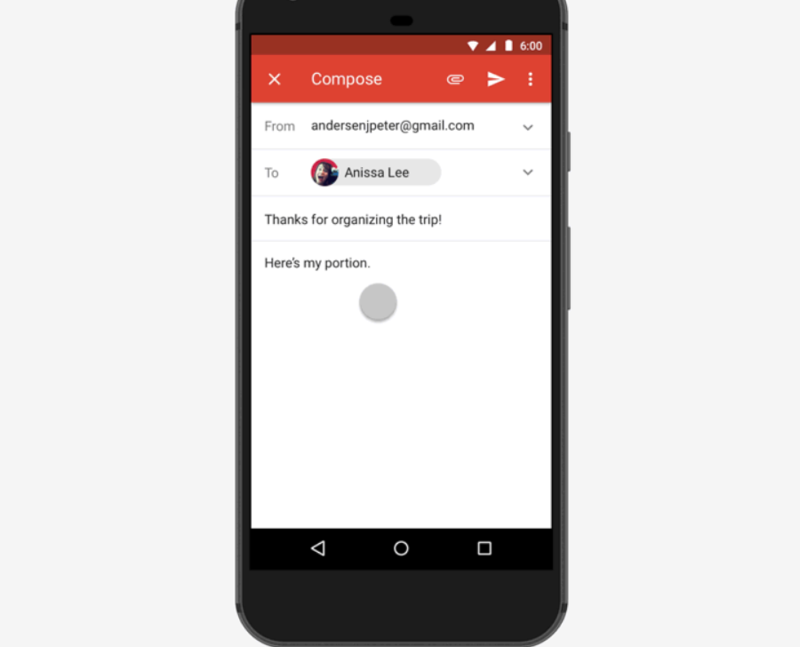 Whether it is “splitting a dinner bill or planning a group trip”, it offers a “fee-free way” to work out the details and settle up without leaving the Gmail app on Android. Users can exchange money with “anyone” – and are not restricted to people with Gmail addresses. Money in Gmail is sent in the same manner as other attachments. Users tap on the attachment icon and choose whether they want to send or request money. Recipients are able to receive or request money from the email itself – without having to install another payment app. They can also arrange for money they receive to go directly into their bank account. The feature is currently available in the US only on Gmail on the web or Android. Recently, Android Pay became available in Belgium – the tenth country in the world to get it. Last year, Android Pay went live in Poland – the first country on continental Europe to launch the service. Android Pay is available to the holders of Mastercard cards issued by Alior Bank, T-Mobile Banking Services and Bank Zachodni WBK. Other Polish banks are expected to follow. The US was the first country to get Android Pay – this was in May 2015. The UK followed a year later. In Asia, Android Pay is available in Singapore and Hong Kong. It is also up and running in Australia, with ANZ being the first bank to introduce it to the market in July. What were the most popular mobile banking apps (on Android) in the UK in August 2016? We reveal the stats for the top ten apps in the UK, ranked taking into account two engagement metrics – current installs and active app users.